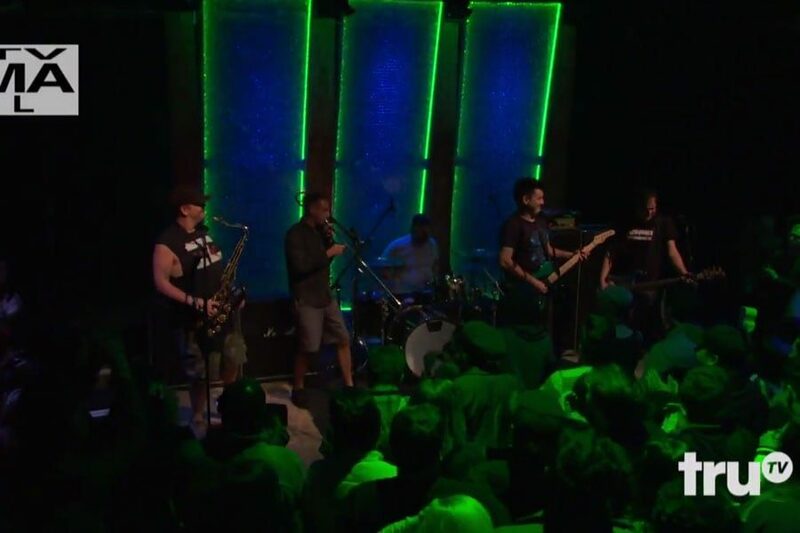 It’s hard to believe that Less than Jake haven’t made their TV performance debut on any late night talk show yet. Last week, they were scheduled on Chris Gethard Show and maybe appeared for 30 seconds over the end credits. So…it’s sort of their TV debut, just a tad short. Fans of the show could have seen CGS Instagram live feed for the full performance right after the show ended, or you had to wait until today to see the legit better-looking video of it. Well it’s here now and you can watch it below. And if you haven’t see The Chris Gethard Show on Tru TV, watch it! It’s hilarious and fun and certainly different type of show.